The Conference is timed to bring together key representatives from all related areas of the construction industry for the first time; from architecture, engineering, manufacturing, material supply, property development and construction, universities, government agencies and client representatives. We sat down with Sarah Backhouse, CEO of prefabAUS to chat about the learnings from prefabAUS' Inaugural Conference 2014. What were the accomplishments of the conference? The Conference brought together a multi-disciplinary range of speakers that reflected the diversity of the audience – manufacturers, architects, engineers, developers, academics, project managers. Innovation requires such multi-disciplinary conversations so we are improving on the status quo, and delegates have provided enthusiastic feedback on the mix of people that they were able to both learn with and network with. The Conference also highlighted that the increased uptake of prefabricated construction technologies is a global trend, and Australia has the capabilities in both manufacturing and design / engineering excellence to grow our local industry if we act swiflty. Like any young and growing industry, there are challenges ahead. These challenges include misperceptions about 21st century prefabricated construction technologies due to lingering stigma from the historic use of prefabricated buildings for temporary uses, for example the school portables of the 1960s and 70s. 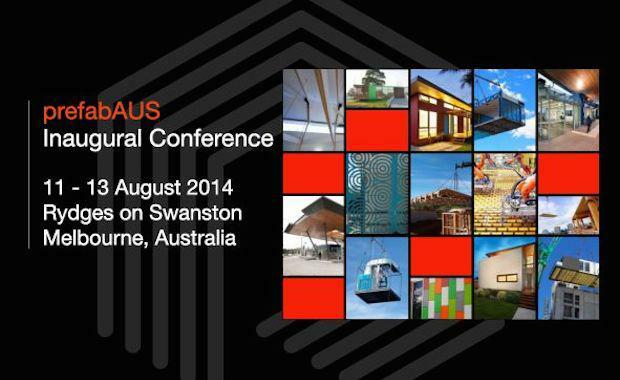 PrefabAUS is working to position 21st century prefabrication as innovative, high quality and high performing. The finance sector also needs to develop specific lending products to support growth of the sector, and both a commercial and individual residential scale. Currently, the banking sector is not facilitating growth of this Australian industry. How can the industry continue to engage, learn and progress forward? The industry can continue to progress forward by engaging in discussion about both the Geelong area and The Hunter region about how building manufacturing could become a vital growth industry where other manufacturing is in transition, by continuing and increasing the PrefabAUS Breakfast Series, with greater geographical reach and frequency and by being inspired by PrefabNZ, Japan and Germany, and consider how PrefabAUS could develop its own prefab display villages to demonstrate quality, innovation and best practice. This is a multi-sector industry, with many directions and opportunities for development. Some of the immediate tasks ahead are the development of a strong road map for the industry and delivery of the META prefabAUS hub which will focus on the development of next generation, high quality, design-led, affordable prefabricated housing from individual homes to multi-residential solutions, development of case studies that include independent, academic or peer review so that the business case for prefab is clearly illustrated.